*REVISED for 2019! 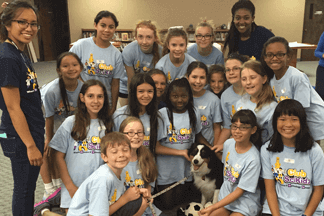 This camp is a camper’s ticket to the world of Veterinary Medicine. Lessons will give campers the opportunity to look into the real and exciting field of Veterinary Medicine. Campers will meet practitioners in the field, and be involved with several hands-on experiments! Each camper will receive his or her very own medical kit. Campers will also be involved in three dissection activities: Sheep Heart, Owl Pellet, and Crayfish. We will be featuring our CPR Dog for the first time in this camp. Campers will learn to use a syringe, and suturing techniques too! 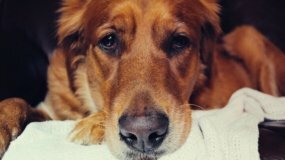 And if that is not enough, campers will have a lesson on giving animals a physical exam from a Veterinarian, and will learn how to train their dog from a professional dog trainer! This is a camp your aspiring vet will not want to miss! **Please note we do our best to schedule professionals for this camp, but we are often subject to their busy schedules. If there is a cancellation, we have alternate activities for the campers.